the fine sand washed by tidal phenomena is perfect for relaxing with your family on vast stretches of beach, walking along the foreshore, and fishing at low tide. Workshops on shellfish harvesting, oyster farming, oyster beds, mussel farms, and visits to fisheries, will meet all summer sightseeing needs. Horse-riding excursions along the coast are offered by the equestrian centre right next to the campsite. The Belle Etoile campsite welcomes you, 20 metres away from the sea in the Manche department in Normandy. During your stay, smell the ocean spray and be rocked to sleep by the noise of the waves from the comfort of your mobile home. Walk to the beach in a few seconds when you wake up, after breakfast or whenever you like! All you’ll need when you come out of your tent is a bathing suit and towel… a significant advantage when there is a surprise rain shower or other unforeseen event. You can also watch the sunset over Manche as often as you like because you don’t need to worry about the return journey home! No stress and total freedom of action, just what you need for the holidays! So enjoy, you’re in the right place for relaxing and spending a great camping holiday by the seaside! Sunbathe all day, collect shells, play beach volleyball, dive between the waves, try fishing for shellfish on foot or have fun with some water sports! 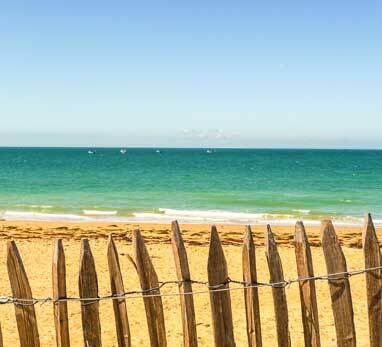 Windsurfing, kitesurfing, surf, kayak… At the seaside in Normandy, you will spoilt for choice. Enjoy a board sport, sail on the sea or on a vast sandy beach if you prefer, with sand-yachting! 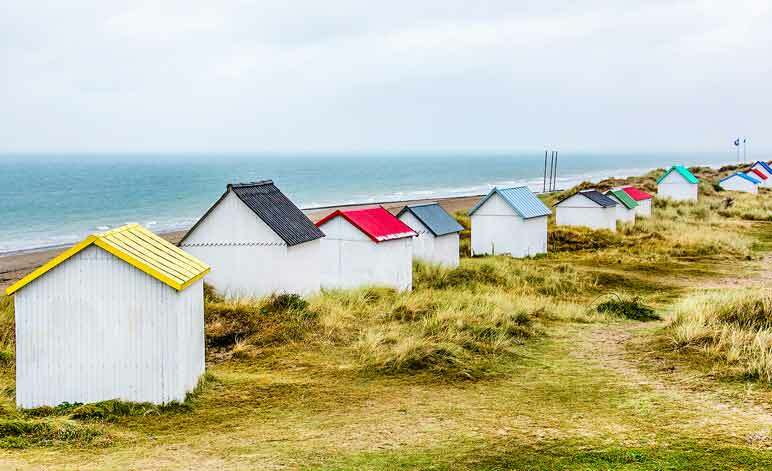 Eure and Orne are not as lucky, but the Seine Maritime, Calvados and Manche are the three Norman departments to enjoy this easy access to the sea, making for a great holiday! For those who are more sensitive to the cold or hesitant about saltwater bathing, the 29°C heated pool is great for swimming in at any time… So if you are staying in Northern France, choosing this seaside campsite in Normandy is sure to be popular with the whole family! will delight young and old alike!